Rocking chairs are one the oldest decorations and conveniences of homes across the world. Sitting out on the front porch relaxing in a wooden rocker, watching the kids play, the sunset, or just getting some fresh air is more than peaceful. Rocking chairs are also attractive adding a lovely bit of design to porches and patios. 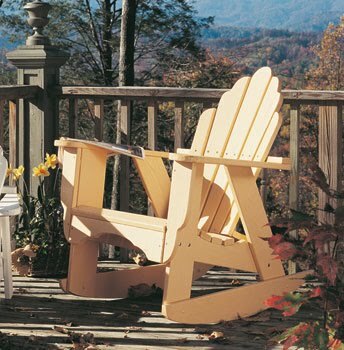 Rocking chairs are made from many different kinds of wood and some even of plastic. Pine, oak, cedar and more let you have a unique look to your rocking chairs while providing a sturdy and attractive look. You can go for a rustic appearance with unfinished wood and rugged design or try a more sleek and elegant look with smooth painted wood. Rocking chairs have many options allowing everyone to find the perfect look for their porch or patio. Imagine sitting on your porch in wooden rocking chairs and watching as the dogs race around the trees chasing the kids with birds chirping and wind blowing around you. Sounds like Heaven doesn't it? It's amazing what the comfort and beauty of rocking chairs can bring to your home and mind. Double rockers are great for cuddling up with that special someone to watch the sun rise, or set depending on which direction you're facing. Romance and comfort will allow you to spend hours in your rocking chair living a dream. 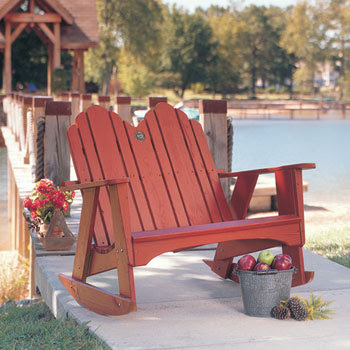 Rocking chairs are great for indoor or outdoor use. Sitting in the nursery rocking your little one to sleep in a comfortable rocking chair will leave memories of nurturing and love in your mind for many years. Something like that could make your rocking chair a very cherished possession. Relaxing outdoors in one of the numerous styles of rocking chairs is a pastime favorite that many enjoy for years and years. 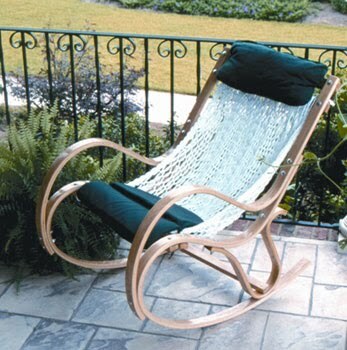 The simplicity and comfort of a chair to rock back and forth in, feel the breeze as it flows by, and the ability to enjoy nature from the comfort of your own front porch all tie into the love of rocking chairs.